Taking a southern classic, twisting it up, and bring it to the Big City. o before we jump in to twisting this whole thing up, lets give you all a better understanding of sweet tea. 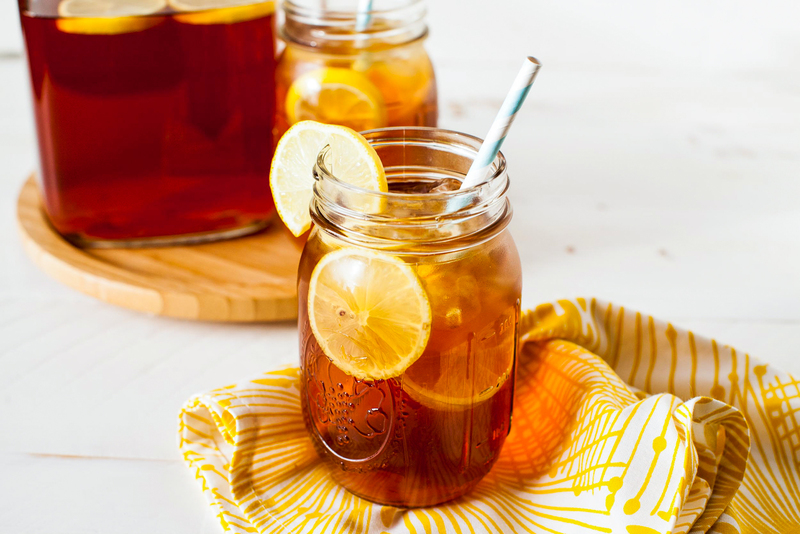 Sweet tea is so much more than just adding a spoonful of sugar to a glass of iced tea. First off, it’s usually made in large batches and kept chilled in the fridge, ready for an afternoon visitor or an easy cool-down on a hot summer day. Most recipes call for a relatively quick steep, anywhere from a few seconds and stirs of the tea bags through the hot water to a full five-minute dunk, though some Southerners like a nice long steep to make a stronger sweet tea. Mix the sugar into the hot tea so it dissolves completely. Make sure to chill your sweet tea thoroughly before drinking it. I find the flavor actually changes and improves the more chilled the tea gets. Here is were we start adding our tropical twist, make sure to pour it over an cup full of ice, add some lemon wedges, and for the kick add 2 ounces of Malibu Coconut Rum. Drop in the tea bags. Let tea steep for 5-7 minutes. Carefully remove tea bags and discard. Do not press on tea bags. Add sugar and stir until sugar completely dissolved. Pour into a serving pitcher. Add in 8 cups of cold water. Fill a glass with ice, add the 2 ounces of the Malibu Coconut rum, and fill with tea. This recipe renders ten, eight ounce servings.